This morning we met up again with Laurent Boscq of Paristories.com to do an interview with him about his work and a couple of his stories in more detail and to record him for our production of a DVD about our trip. The first story was more about the Au Lapin Agile (Agile Rabbit) and all of the famous artists who came there, painters, writers and singers. One famous American met a singer there and she became his mistress as he had a wife back in the States. They fell in love and he was going to bring her back to the States so he booked them passage on the Titanic. She was put on a lifeboat by him when they hit the iceberg and he went back to his estate room and put on his finest clothes and waited there for his end! When she was saved and made it to the U.S., she was not warmly received by the widow, after many months she made enough money, people speculate it was the widow that paid for the ticket, and she returned to Montmartre. 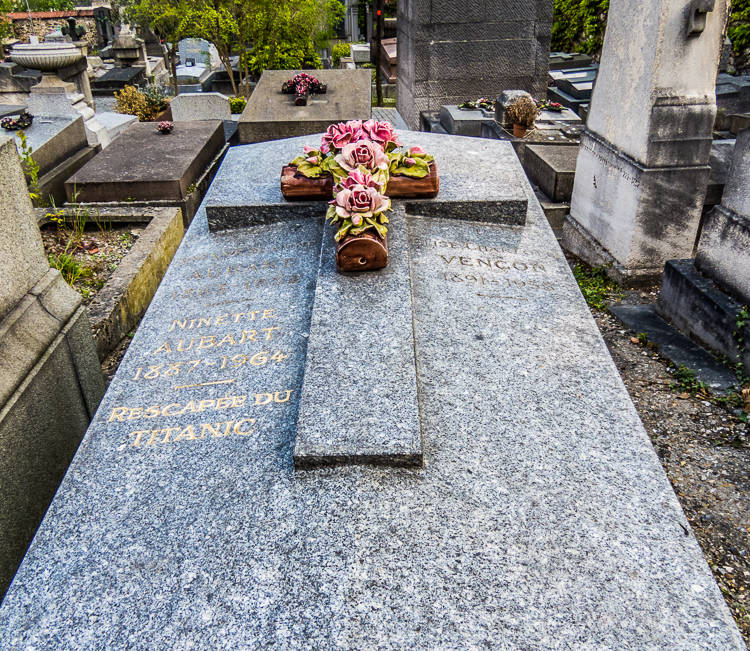 She is buried just yards away from the Agile Rabbit in Saint-Vincent Cemetery, her name was Ninette Aubart. The second story was more details about the painter Maurice Utrillo V and how his mother was a famous singer at the Au Lapin Agile and how she never gave into who his father was? Much speculation was that it was Renoir, but years later the real father came forward and declared that he was the boy’s father. As a boy Maurice was very troubled and was always getting into trouble; a doctor told his mother maybe he should take up painting, he did and that calmed him down and was never a problem again. Maurice did not like people and would not leave the house so he would have his mother buy him postcards of the area, Montmartre, and he would paint from them. He became the most famous painter of Montmartre. Later in life when he got married they moved to the country, still never going outside, just painting from his memories of Montmartre until he died. 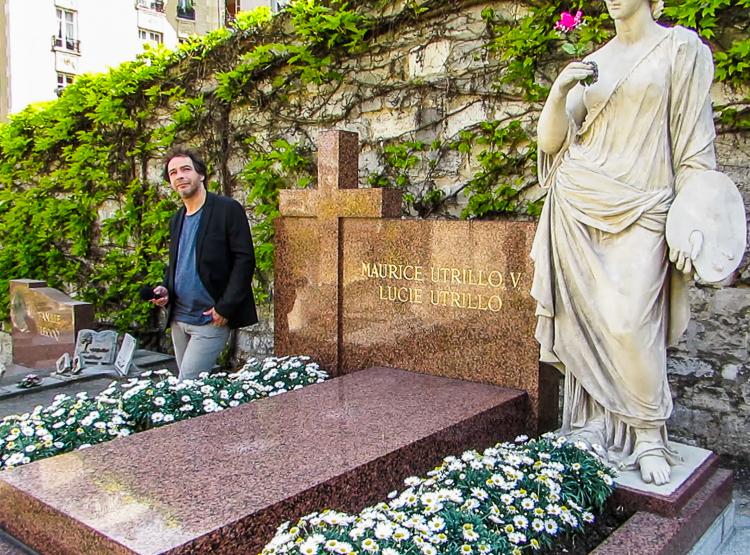 He and his wife are also buried in Saint-Vincent Cemetery just a couple headstones away from Ninette Aubart’s! Our DVD production will have the entire recording of the interviews about the two stories and the interview of him giving us his story. Watch this space for more details! 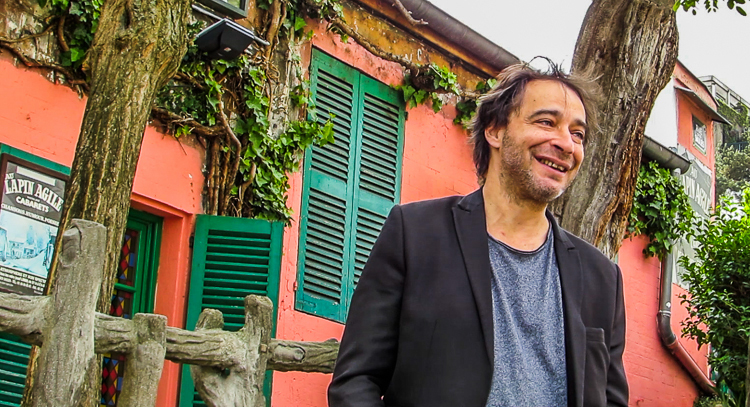 Laurent at the Au Lapin Agile telling the story of the love and death! 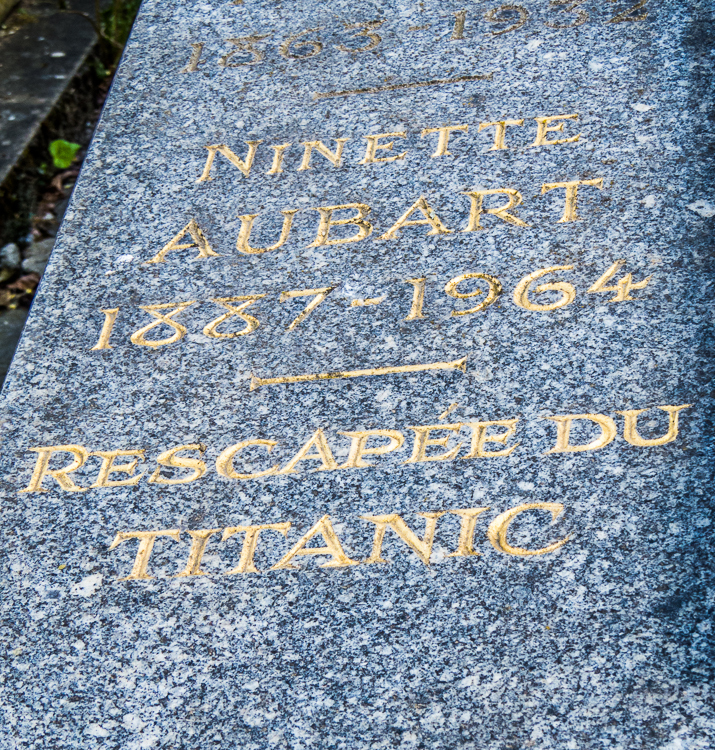 The survivor of the Titanic! The story of Maurice Utrillo V.